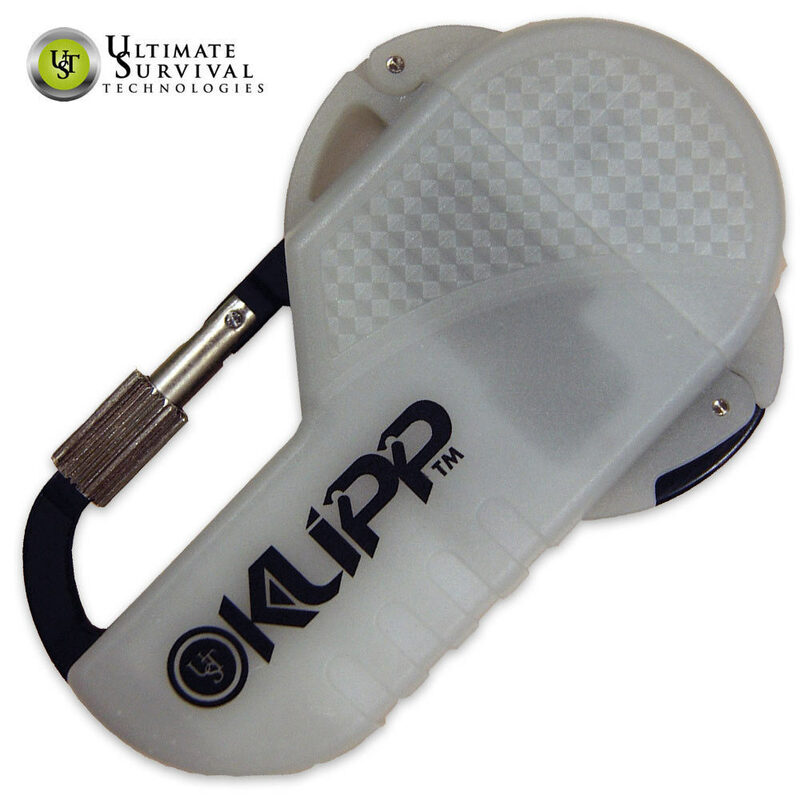 UST Klipp Glo Lighter With Carabiner Glow In The Dark | BUDK.com - Knives & Swords At The Lowest Prices! This high-performance black Klipp lighter provides superior windproof performance you can count on! The windproof turbo flame is powered by Piezo-electric ignition that lights up to 30,000 times, even when wet. This powerful lighter takes quadruple-refined butane and has a 0.04 oz. capacity. Clip it to your belt loop, gear or pack with the built-in zinc die-cast locking carabiner. Best of all, it glows in the dark!